The story and photos occupied several pages of both the Denver Post and the Rocky Mountain News. KOA Radio carried the broadcast live and a score of airplanes flew overhead. An estimated 100,000 people gathered near the site while an additional 250,000 watched the event from rooftoops and ridges all over the city. 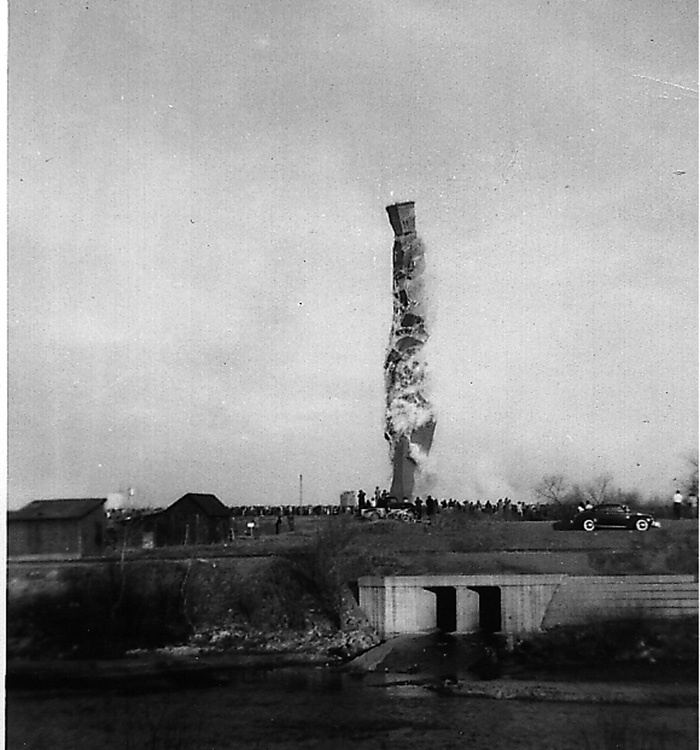 The occasion was the demolition of the Grant Smelter smokestack, a 350-foot remnant of Denver’s glory days of mining and smelting. The giant chimney had been built in 1892 as part of an expansion of the Omaha and Grant, Denver’s largest smelter. It was the tallest structure in the region and a symbol of a time when smelting was the city’s largest industry. A year after the completion of the stack, the nation experienced a depression that hit mining and smelting hard. Changes in technology, the depletion of rich ores and labor unrest brought the halcyon days of smelting to an end. The Omaha and Grant Smelter closed in 1903 and was gradually dismantled, until only the enormous smokestack remained. Neighborhood children used the stack as their private playground, riding their bicycles in and out, and daring each other to climb its steep walls. Retired fireman Ed Westerkamp was one of those kids. “We used to play around that old Grant Smelter stack. 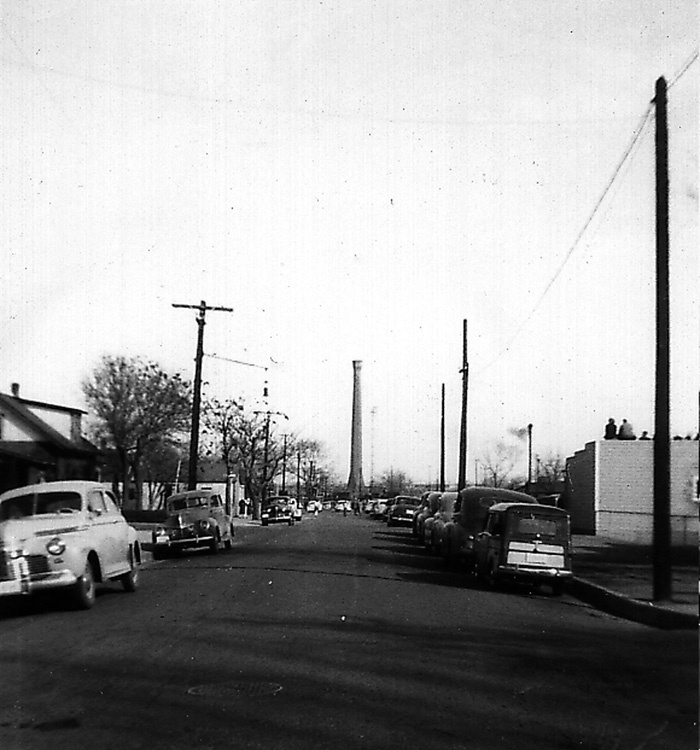 Various economic proposals for the giant chimney were made over the years, including its use as an incinerator for the city’s refuse. There were arguments for its preservation as well as for its demolition, but, in the end, issues of safety and economics won the day. The crowd remained patient through delay after delay. Finally, at 5:00pm, Fred “Tombstone” Backus, a veteran powder man, turned over the detonator to Thomas Campbell, Manager of Improvements. A second later a series of five blasts, each two seconds apart, exploded in the base of the 7,000-ton tower. This was the moment when the stack was expected to fall westward into a dump area. Nothing. It took three more blasts and “a million bricks crashed to earth and a blinding cloud of cement and dust enveloped the officials and spectators.” Half of the tower remained standing. Seventeen minutes later, as people were examining the damage, there was a rumble and another section suddenly collapsed. It would take more dynamite on the following day to finish the job. 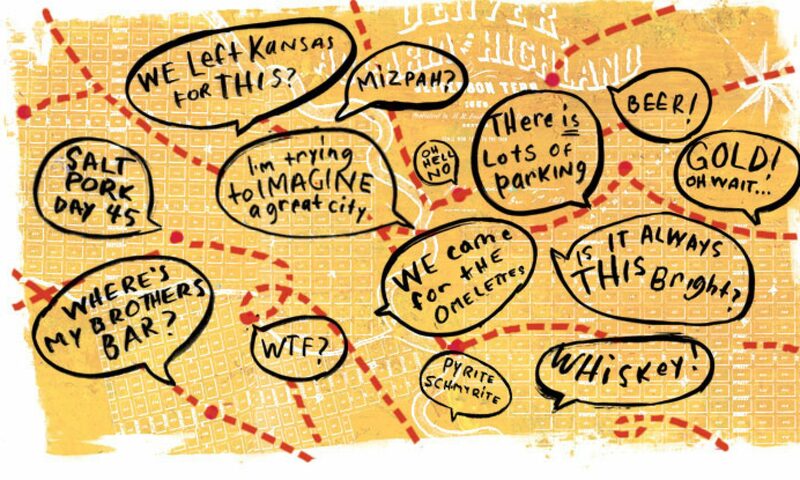 Denver was pleased with itself for shedding its frontier image. The city was growing, with a modern interstate highway and sleek new buildings changing the downtown skyline. 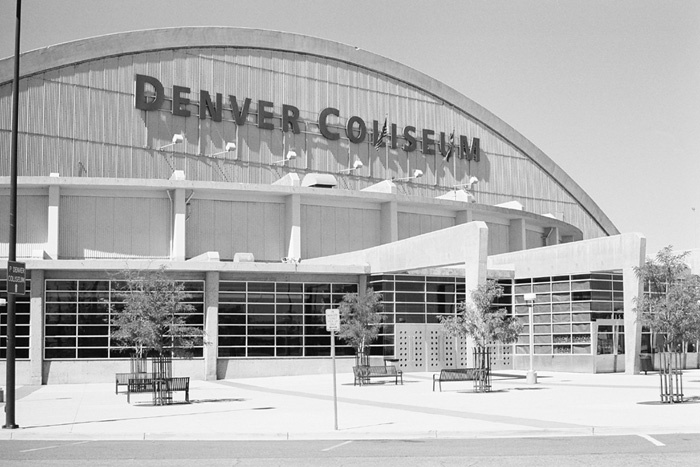 The city’s newest addition, completed and dedicated in 1952, would be the Denver Coliseum, replacing the smelter stack, a crumbling symbol of Denver’s industrial past. B50 Note: Mary Lou Egan is a professional graphic designer and watercolor artist who also enjoys history and preservation, and writes and maintains the Globevillestory blog. Photos of stack courtesy of Janet Wagner. Photo of coliseum courtesy of Ian Denny. 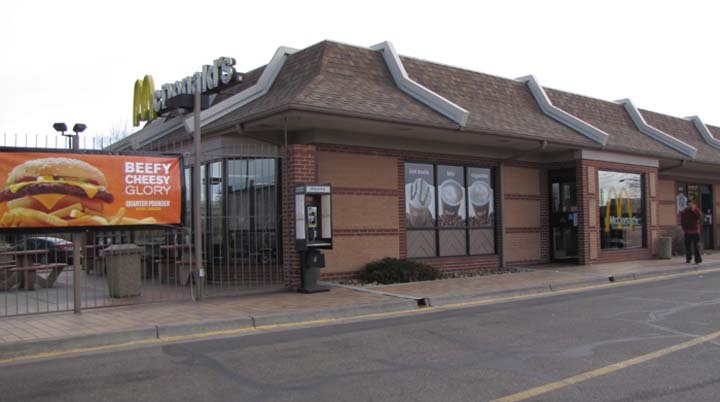 For over a hundred years the corner at 45th and Washington Street in the Globeville neighborhood has been the place to go for an inexpensive meal and a visit with friends. Today the site is home to a McDonalds restaurant; in 1908, it was home to the Western Slavonic Lodge. Slavs began arriving in Globeville in the 1880s seeking jobs in the Grant and Globe Smelters. Work in the smelters was hard and dangerous with men risking death or disability from extreme heat, toxic fumes and dust from heavy metals. 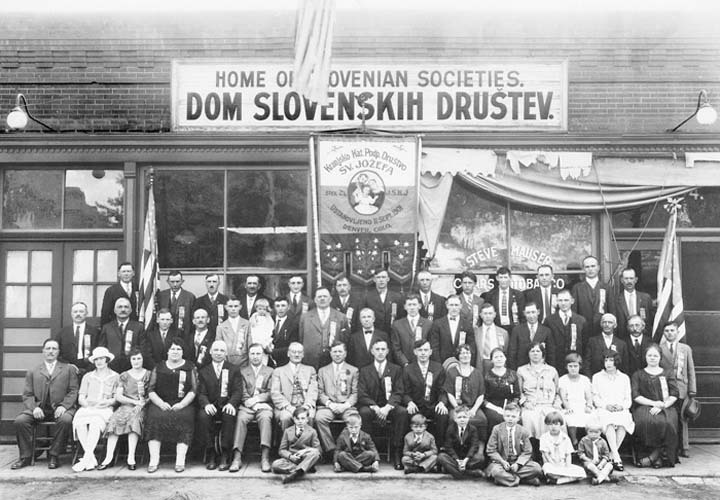 To provide financial security for themselves and their families, the Slavs formed Zapadna Slovanska Zveza (Western Slavonic Association), an independent, fraternal society that offered sick and death benefits for its members. The organization also helped preserve the language, culture and heritage of the mother country, Slovenia. Here, the newcomer felt comfortable and welcome, speaking his native language, enjoying familiar ethnic dishes and socializing with others from the old country. There was also information about jobs, places to stay and where to meet other single people from home. Newcomers were also introduced to American customs, music, dress and slang, and helped with the process of Americanization. There were branches of this organization wherever there were communities of Slavs—Leadville, Salida, Canon City, Crested Butte, Aspen and Pueblo. Slavs gradually assimilated into American culture, moved up the economic ladder and away from the Globeville neighborhood. The Western Slavonic is now Western Fraternal Life and still offers annuities, insurance products and fraternal activities to members at its location at 11265 Decatur Street in Westminster. The lodge sold the land to McDonalds in 1988. 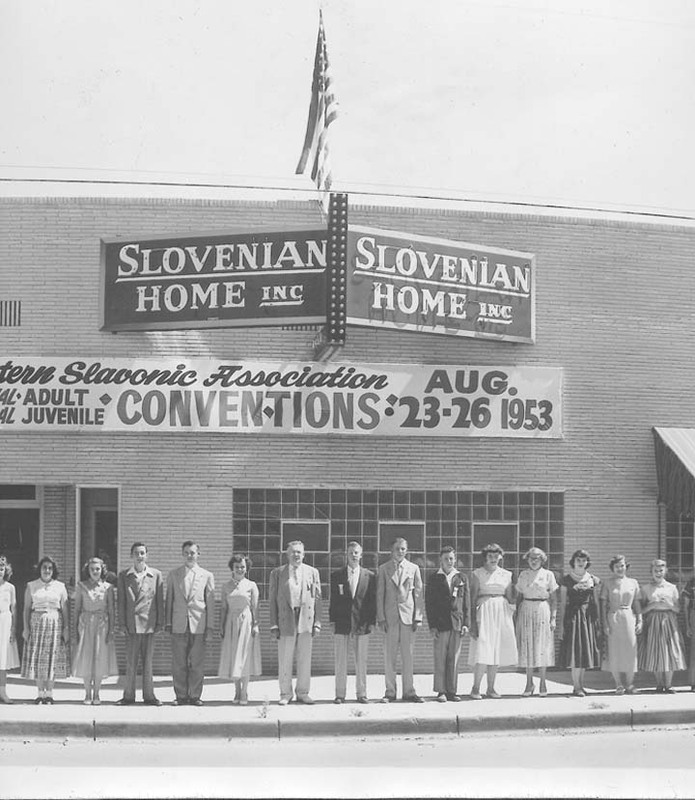 Slovenian Home in 1953. Photo courtesy of Joseph Skrabec. 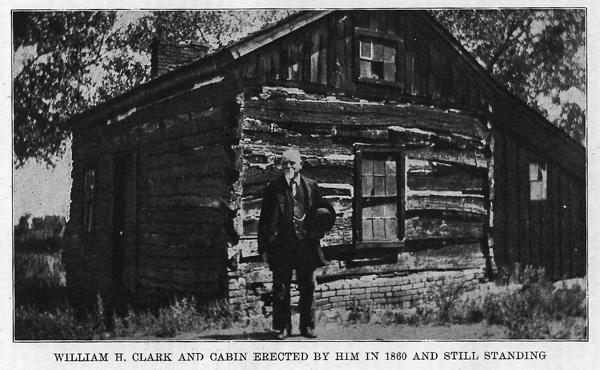 William H. Clark and the cabin he built in 1859 at 5041 Pearl Street. Photo courtesy of Wilbur F. Stone, ed., History of Colorado, Chicago: The S. J. Clarke Publishing Co., 1918. William H. Clark was a natural choice for the first mayor of Globeville, for he been there from the very beginning. Twenty-three-year-old Clark was one of the hoards of fortune seekers who descended on the territory when gold was discovered in Colorado in 1858. He traveled with a party of fourteen men across land that belonged to the Arapaho and Sioux, arriving at the collection of tents and shacks that would become Denver on October 28, 1858. Homesteaders continued to move to the area, and Clark was active in the growing community. He served on the first school board, which was responsible for a little country school built in 1873 at 51st and Washington, which later became the Globeville School. Clark had lived in the neighborhood 20 years when the region’s first smelter, the Boston and Colorado, was built in an area now occupied by Denver’s “Mousetrap” interchange. Two other large smelters, the Grant and the Globe, were constructed in 1882 and 1889, followed by railroads, brickyards, foundries and meat packing plants. Clark witnessed the evolution of the district from a rural outpost to an industrial area. He also observed a change in the area’s population from native-born homesteaders to that of Eastern-European immigrants. When the population voted to incorporate as the town of Globeville in 1891, Clark was chosen as the first mayor. On June 26 the following year, he was found dead in his cabin of “advanced age” and laid to rest under the auspices of the Society of Colorado Pioneers and the Pioneer Ladies’ Aid Society at Fairmont Cemetery. There is no marker on his grave. 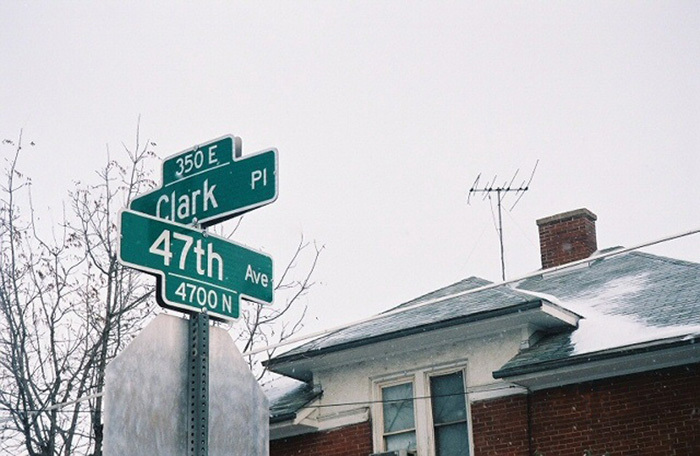 A street sign between 47th and 48th Avenue in the Globeville neighborhood is the only known tribute to this pioneer. 2 Denver Post, June 27, 1921, “Uncle Billy” Clark, Pioneer of Pioneers, Dead in Rude Log House He Built in Days of ‘59”.